Prominent & Leading Manufacturer from Mumbai, we offer inflatable female leg mannequin, inflatable half mannequin, inflatable legs mannequin, inflatable female full mannequin, inflatable male leg mannequin and inflatable half with hand mannequin. Its the experience and efforts of our team members that we have been able to offer premium quality Inflatable Female Leg Mannequin. 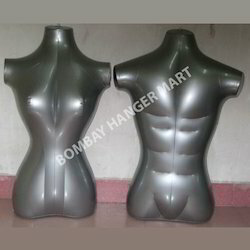 These mannequins are manufactured in compliance with the set industry standards and norms using high-grade raw material sophisticated machines. 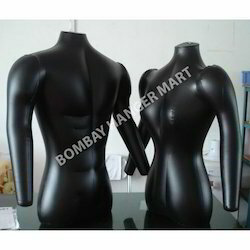 Moreover, we offer these mannequins in different sizes so as to fulfill the different requirements of our patrons in an efficient manner. We are highly appreciated by the customers for manufacturing, supplying and exporting superior quality Inflatable Half Mannequin. These mannequins are manufactured in various designs, shapes, colors and sizes using high-grade are material and advanced machines. The offered mannequins can also be customized as per the exact requirements of our customers.